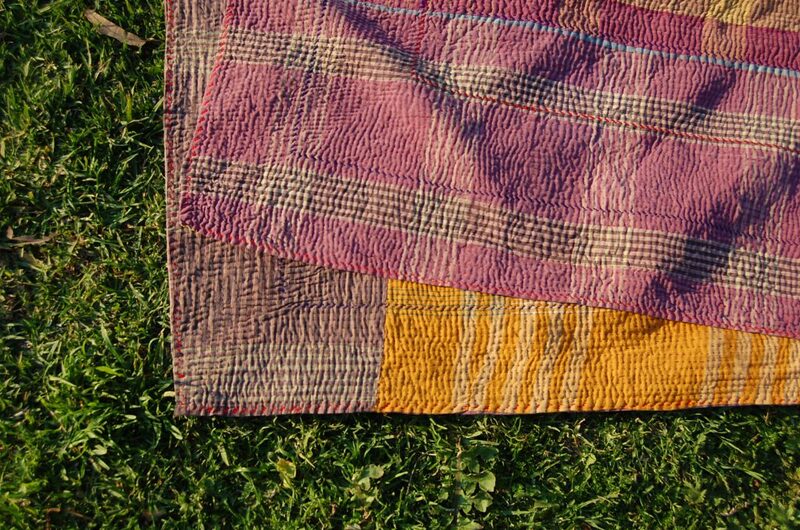 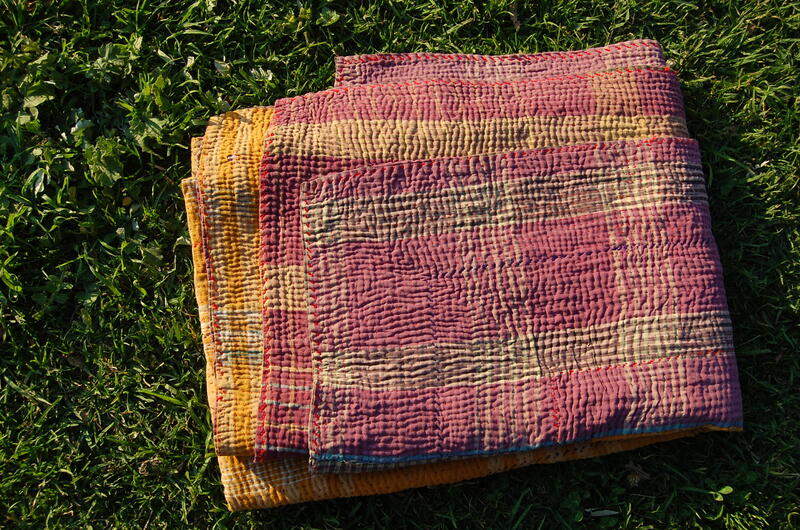 Rich hues of pumpkin orange and warm purple are a delightful combination of this Indian kantha quilt. 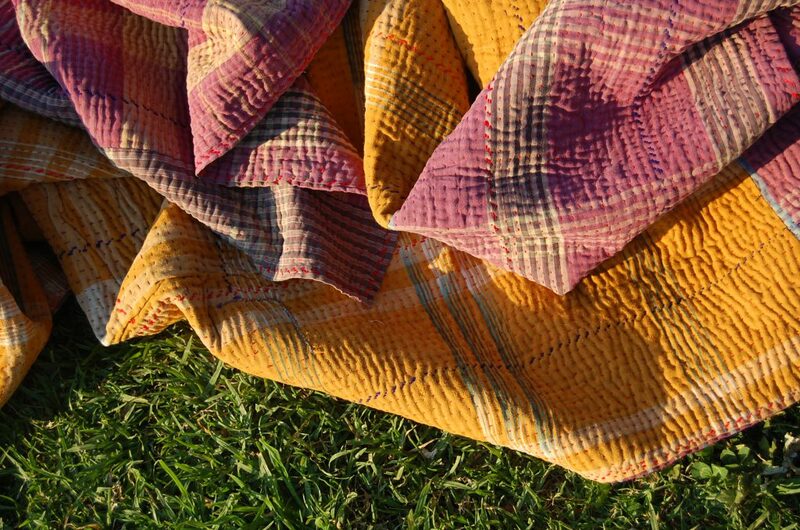 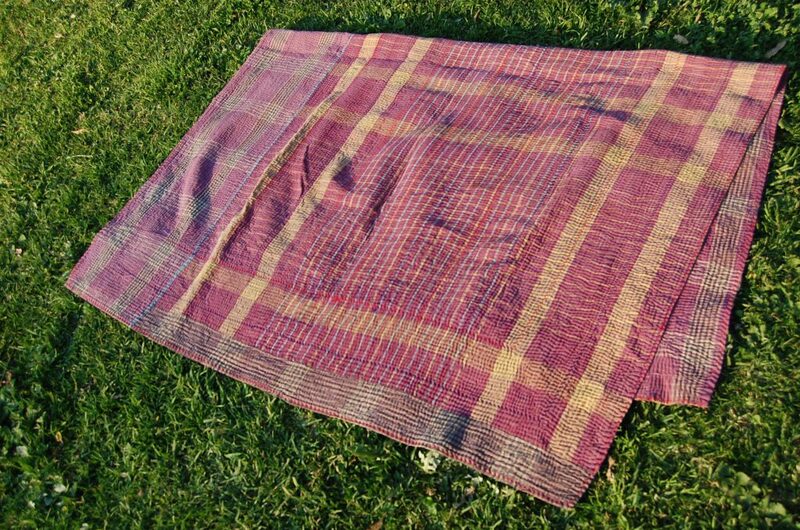 A modern style kantha, in tartan vintage saree fabric made by artisans of India, constructed with thousands of tiny stitches is ideal for bedding. 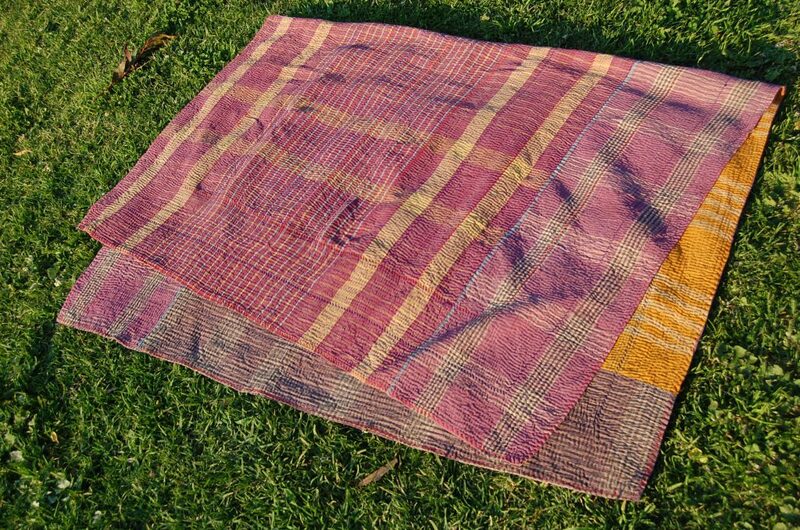 This Indian cotton bedspread is of mid- to heavy- weight, strong construction with coloured thread. 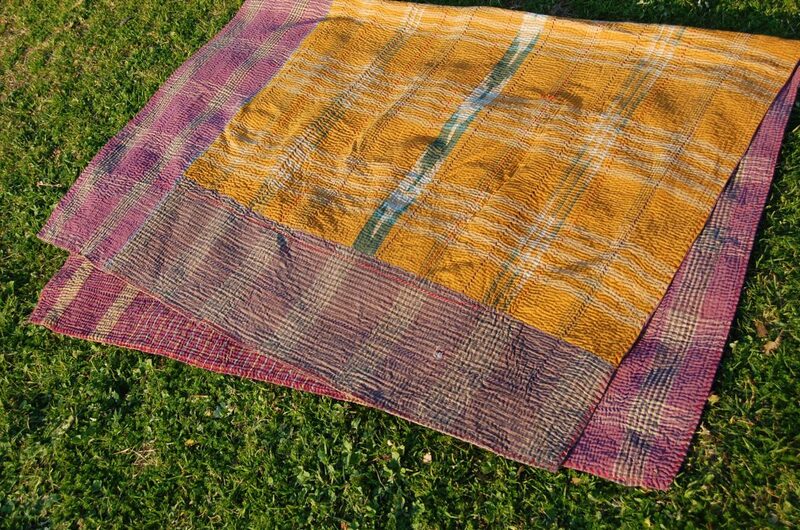 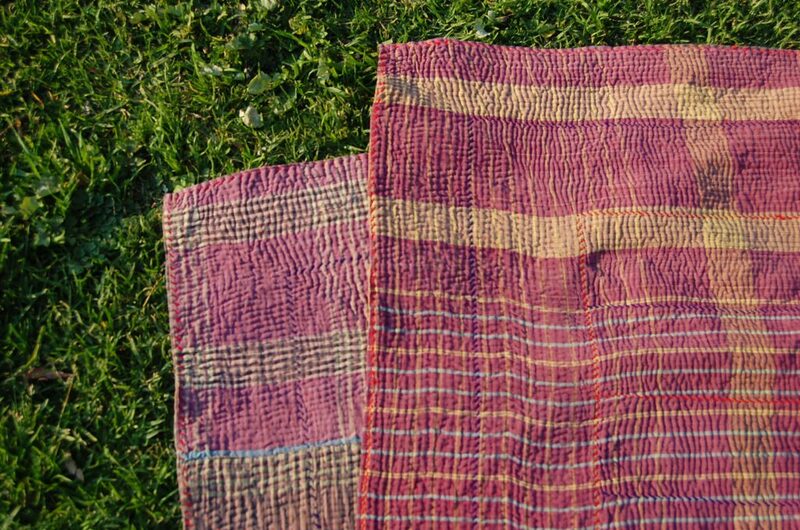 For more fair trade kantha quilts, cotton quilt bedding & embroidered throw blankets visit our shop.